Frozen water pipes can expand and burst when they thaw, which can lead to thousands of dollars of damage to your ceilings, floors, walls, furniture and carpets. While the best way to prevent frozen pipes involves insulating and protecting your water lines, frozen pipes can occur even in well-prepared homes. By locating a frozen line and thawing it gradually, you can help reduce the chances of a burst pipe. How do you know your pipe is frozen? After a cold night, you turn on your tap and instead of a steady water you get nothing! Since water expands when it freezes a frozen pipe is in danger of bursting. It needs to be thawed immediately or you could cause tremendous water damage to your home. First you need to find out where the pipe is frozen. Turn off the main water supply. This will prevent the water from gushing out once the pipe is thawed. Open your water taps, sinks, and shower taps. If water isn’t running anywhere in the house, a pipe near the water meter may be frozen. Touch the meter and the adjacent exposed pipes. If they are very cold, they are probably frozen. Once you’ve found the frozen pipe, open the affected faucet all the way, and open other hot water faucets in the house. When the water is flowing in the affected pipe, close all the faucets to a trickle. Do not close the affected faucet until the pipe is completely thawed and the water flowing freely. The safest – and neatest – thawing methods involve a gentle heat source hair dryer, heat lamp, or household iron. A propane torch or other open flame will heat the pipe too quickly and may cause it to explode. Some people recommend pouring boiling water over rags wrapped around a frozen pipe. The obvious drawback is that this method is messy. Never pour boiling water directly onto a frozen pipe. When thawing pipes with a heat lamp or hair dryer always work from an open faucet toward the frozen area. This will keep steam from being trapped by ice and bursting the pipe. With the faucet open, you can see when the ice has melted. Do not use un-grounded electrical appliances outdoors, or near grounded water pipes. To prevent pipes from freezing in the first place, wrap electrical heating cable around it-one turn every two feet-then cover the pipe with insulation to conserve the heat. Follow all directions on the heating cable and take special care not to overlap the cable. Plug in the cable when the temperatures drops below freezing. The same cable device can be used to thaw a pipe. Turn on the water fixtures in various parts of your home to identify the one(s) that do not work. Water in areas with frozen lines will usually trickle or not come out at all. This will usually help you isolate your search to a specific area of your home, such as a bathroom or laundry room. Look for exposed pipes in the area where you suspect a frozen water line. You might need to go into the attic, basement or crawl space of the area to look for uninsulated pipes. Check the pipes for any signs of bulging or cracking. You might also notice frost on any frozen sections of exposed pipes. The frozen areas will usually be much colder to touch than the pipes with free-flowing water. Examine the pipe(s) that supply water to the compromised area from the main supply to the water fixture. If you do not find the frozen part in an exposed area, it might be hidden inside of a wall. You might need to open the drywall to thaw pipes hidden inside of a wall. If no water in the house works, your main water line might be frozen. Check the areas where it enters your home (usually at the foundation or near the basement). The American Red Cross recommends adding insulation to frozen pipes or relocating them to a more protected area to help prevent them from freezing. We recommend calling a professional plumber if your pipes freeze. They suggest that you might be able to thaw them yourself using a source of gentle, consistent heat (such as a hair dryer)-but only after talking to a plumber first as well as ensuring that the compromised area has no standing water. Posted by homeownermarketing on January 5, 2015 in Uncategorized and tagged frozen, pipes, water. Posted by HomeWiz on December 8, 2014 in Uncategorized and tagged A/C, A/C maintenance, Acton, Acton MA, air, Air conditioning, allston, appliance, Arlington, Arlington MA, Bedford, bedford ma, Belmont, Belmont MA, belmont ma electrician, belmont ma plumber, boiler, Boston, Boston MA, breaker, Brighton, Brookline, Brookline MA, Burlington, Cambridge, Cambridge MA, Charlestown MA, Chelsea MA, Chestnut Hill, cold, Concord, contractor, cooling, cooling electrician, discount, electric, Electrical, electrical contractor, electrician, Everett MA, forced hot air, furnace, generator, greater boston, Greater Boston MA Arlington MA, h.o. electric, h.o. services, heat, heating, high efficiancy, Hudson MA, hvac, Lexington, Lexington MA, Lincoln, lp, MA, Malden MA, mass, massachusetts, Medford, Medford MA, Melrose, merrimac valley, Natick, natural gas, Needham, Newton, newton ma, no-heat, North Andover, oil burner, plug, plumber, plumbing, propane, repair, Revere MA, savings, short circuit, Somerville, Somerville MA, sommerville, special, Sudbury, sudbury ma, switch, trane, Waban, Waltham, Waltham MA, Watertown, Watertown MA, Wayland, Wellesley, Weston, Winchester, Winchester MA, wiring, Woburn. In New England, we can get clobbered by arctic temperatures and intense snowstorms. Staying warm and safe in the face of old man winter can be quite a challenge. Exposure to extreme cold, whether indoors or outside, can cause other serious or life-threatening health problems. Snow and ice storms can also bring power failures, icy roads and car problems. To keep you and your family safe, you should know how to prevent cold-related health problems and what to do when cold-weather emergencies arise. H.O. Services and The Centers for Disease Control and Prevention recommends the following actions to plan and prepare for the worst that winter can dish out at home and on the road. Don’t eat un melted snow; it will lower your body temperature. If your pipes freeze, don’t thaw with a torch. Use a hair dryer. Dress Warmly: Adults and children should wear, hats, scarves, gloves, and water-resistant coat and boots. Be sure to wear several layers of loose-fitting, tightly woven clothing. Wool, silk, or polyester will hold more body heat than cotton. Posted by HomeWiz on December 1, 2014 in Uncategorized and tagged A/C, A/C maintenance, Acton, Acton MA, air, Air conditioning, allston, appliance, Arlington, Arlington MA, Bedford, bedford ma, Belmont, Belmont MA, belmont ma electrician, belmont ma plumber, boiler, Boston, Boston MA, breaker, Brighton, Brookline, Brookline MA, Burlington, Cambridge, Cambridge MA, Charlestown MA, Chelsea MA, Chestnut Hill, cold, Concord, contractor, cooling, cooling electrician, discount, electric, Electrical, electrical contractor, electrician, Everett MA, forced hot air, furnace, generator, greater boston, Greater Boston MA Arlington MA, h.o. electric, h.o. services, heat, heating, high efficiancy, Hudson MA, hvac, Lexington, Lexington MA, Lincoln, lp, MA, Malden MA, massachusetts, Medford, Medford MA, Melrose, merrimac valley, Natick, natural gas, Needham, Newton, newton ma, no-heat, North Andover, oil burner, plug, plumber, plumbing, propane, repair, Revere MA, savings, short circuit, Somerville, Somerville MA, sommerville, special, switch, trane, Waban, Waltham, Waltham MA, Watertown, Watertown MA, Wayland, Wellesley, Weston, Winchester, Winchester MA, wiring, Woburn. For as LITTLE as $14.95 per month, you can have continuous peace of mind. We’re always looking for new ways to provide you with the best energy savings and total peace of mind in your home. That’s why H.O. Electric brings you the industry leading energy management, home automation, and damage prevention system that will help you do that, and so much more! Get total mobile access and control of your home – right in the palm of your hand. Experience the comfort of connecting to your home from anywhere – access your home at all times with your smartphone, tablet or from anywhere with an internet connection. Turn on your heating system using a smartphone from 200 miles away while driving home, so that it’s comfortable as soon as you walk in the door. Control what you need, stay informed with what’s important, and give yourself one less thing to worry about. Clip & Save! Get $25.00 off any electrical, drain cleaning, heating, cooling service & repair with H.O. Services. Call 617-489-6324anytime to schedule your appointment. 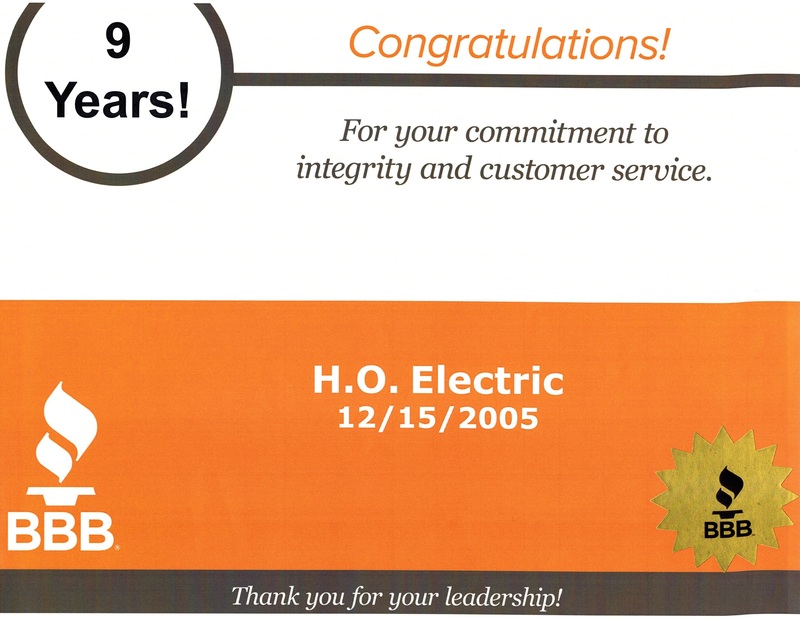 www.hoelectric.com. Posted by HomeWiz on October 17, 2014 in Uncategorized and tagged A/C, A/C maintenance, Acton, Acton MA, air, Air conditioning, allston, appliance, Arlington, Arlington MA, Bedford, bedford ma, Belmont, Belmont MA, belmont ma electrician, belmont ma plumber, boiler, Boston, Boston MA, breaker, Brighton, Brookline, Brookline MA, Burlington, Cambridge, Cambridge MA, Charlestown MA, Chelsea MA, Chestnut Hill, cold, Concord, contractor, cooling, cooling electrician, discount, electric, Electrical, electrical contractor, electrician, Everett MA, forced hot air, furnace, generator, greater boston, Greater Boston MA Arlington MA, h.o. electric, h.o. services, heat, heating, high efficiancy, Hudson MA, hvac, Lexington, Lexington MA, Lincoln, lp, MA, Malden MA, mass, massachusetts, Medford, Medford MA, Melrose, merrimac valley, Natick, natural gas, Needham, Newton, newton ma, no-heat, North Andover, oil burner, plug, plumber, plumbing, propane, repair, Revere MA, savings, short circuit, Somerville, Somerville MA, sommerville, special, Sudbury, sudbury ma, switch, trane, Waban, Waltham, Waltham MA, Watertown, Watertown MA, Wayland, Wellesley, Weston, Winchester, Winchester MA, wiring, Woburn. Of the millions of active executives, Howard Oven of H.O. Electric is among the top 1% who have received this honor. 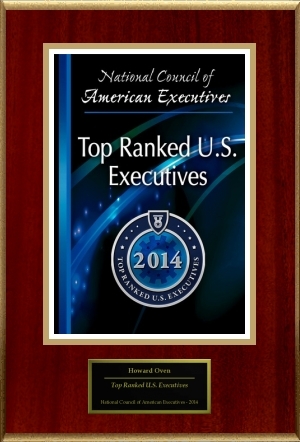 The National Council of American Executives has commended Howard Oven of H.O. Electric for this achievement. In an effort to aid its customers and clients in their search for top-quality service, we’ve set you apart from your competition by adding you to The Registry™. Posted by HomeWiz on October 16, 2014 in home services and tagged A/C, A/C maintenance, Acton, Acton MA, air, Air conditioning, allston, appliance, Arlington, Arlington MA, Bedford, bedford ma, Belmont, Belmont MA, belmont ma electrician, belmont ma plumber, boiler, Boston, Boston MA, breaker, Brighton, Brookline, Brookline MA, Burlington, Cambridge, Cambridge MA, Charlestown MA, Chelsea MA, Chestnut Hill, cold, Concord, contractor, cooling, cooling electrician, discount, electric, Electrical, electrical contractor, electrician, Everett MA, forced hot air, furnace, generator, greater boston, Greater Boston MA Arlington MA, h.o. electric, h.o. services, heat, heating, high efficiancy, Hudson MA, hvac, Lexington, Lexington MA, Lincoln, lp, MA, Malden MA, mass, massachusetts, Medford, Medford MA, Melrose, merrimac valley, Natick, natural gas, Needham, Newton, newton ma, no-heat, North Andover, oil burner, plug, plumber, plumbing, propane, repair, Revere MA, savings, short circuit, Somerville, Somerville MA, sommerville, special, Sudbury, sudbury ma, switch, trane, Waban, Waltham, Waltham MA, Watertown, Watertown MA, Wayland, Wellesley, Weston, Winchester, Winchester MA, wiring, Woburn. 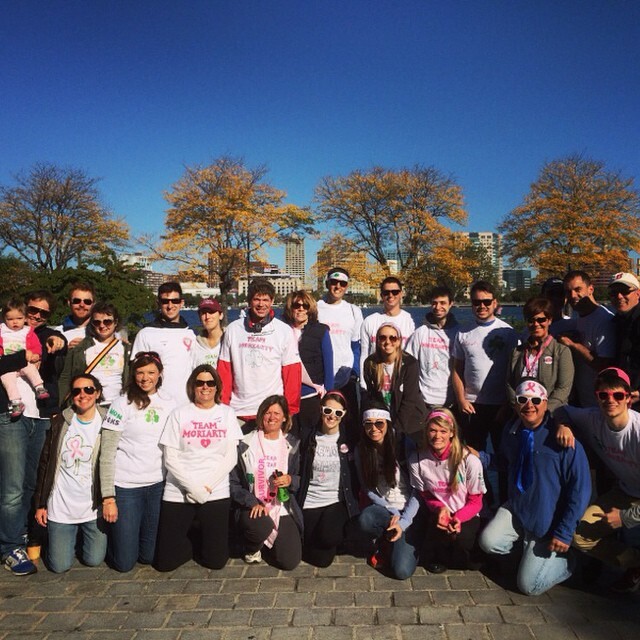 Making Strides to Fight Breast Cancer was a success again! We look good in pink! Thank you to everyone who supported this years walk! Posted by homeownermarketing on October 13, 2014 in Uncategorized and tagged Belmont, breast cancer, cooling, electrician, heating, ho electric, ho services, hvac, making strides boston, plumber. Posted by HomeWiz on September 30, 2014 in Uncategorized and tagged A/C, A/C maintenance, Acton, Acton MA, air, Air conditioning, allston, appliance, Arlington, Arlington MA, Bedford, bedford ma, Belmont, Belmont MA, belmont ma electrician, belmont ma plumber, boiler, Boston, Boston MA, breaker, Brighton, Brookline, Brookline MA, Burlington, Cambridge, Cambridge MA, Charlestown MA, Chelsea MA, Chestnut Hill, cold, Concord, contractor, cooling, cooling electrician, discount, electric, Electrical, electrical contractor, electrician, Everett MA, forced hot air, furnace, generator, greater boston, Greater Boston MA Arlington MA, h.o. electric, h.o. services, heat, heating, high efficiancy, Hudson MA, hvac, Lexington, Lexington MA, Lincoln, lp, MA, Malden MA, mass, massachusetts, Medford, Medford MA, Melrose, merrimac valley, Natick, natural gas, Needham, Newton, newton ma, no-heat, North Andover, oil burner, plug, plumber, plumbing, propane, repair, Revere MA, savings, short circuit, Somerville, Somerville MA, sommerville, special, Sudbury, sudbury ma, switch, trane, Waban, Waltham, Waltham MA, Watertown MA, Weston, Woburn. Why to tune up your heating system before the really cold weather hits. Call 1(844) Hel-loHO or Click http://www.homeownerservices.com to schedule you appointment today! Posted by homeownermarketing on September 23, 2014 in Uncategorized and tagged A/C, A/C maintenance, Acton, Acton MA, air, Air conditioning, allston, appliance, Arlington, Arlington MA, Bedford, bedford ma, Belmont, Belmont MA, belmont ma electrician, belmont ma plumber, boiler, Boston, Boston MA, Brighton, Brookline, Brookline MA, Burlington, Cambridge, Cambridge MA, Charlestown MA, Chelsea MA, Chestnut Hill, cold, Concord, contractor, cooling, cooling electrician, discount, electric, Electrical, electrical contractor, electrician, Everett MA, forced hot air, furnace, greater boston, Greater Boston MA Arlington MA, h.o. electric, h.o. services, heat, heating, high efficiancy, Hudson MA, hvac, Lexington, Lexington MA, Lincoln, MA, Malden MA, mass, massachusetts, Medford, Medford MA, Melrose, merrimac valley, Natick, natural gas, Needham, Newton, newton ma, no-heat, North Andover, oil burner, repair, Revere MA, savings, Somerville, Somerville MA, sommerville, special, Sudbury, sudbury ma, trane, Waban, Waltham, Waltham MA, Watertown, Watertown MA, Wayland, Wellesley, Weston, Winchester, Winchester MA, Woburn. Posted by HomeWiz on September 19, 2014 in Uncategorized and tagged A/C, A/C maintenance, Acton, Acton MA, air, Air conditioning, allston, appliance, Arlington, Arlington MA, Bedford, bedford ma, Belmont, Belmont MA, belmont ma electrician, belmont ma plumber, boiler, Boston, Boston MA, breaker, Brighton, Brookline, Brookline MA, Burlington, Cambridge, Cambridge MA, Charlestown MA, Chelsea MA, Chestnut Hill, cold, Concord, contractor, cooling, cooling electrician, discount, electric, Electrical, electrical contractor, electrician, Everett MA, forced hot air, furnace, generator, greater boston, Greater Boston MA Arlington MA, h.o. services, heat, heating, high efficiancy, Hudson MA, hvac, Lexington, Lexington MA, Lincoln, lp, MA, Malden MA, mass, massachusetts, Medford, Medford MA, Melrose, merrimac valley, Natick, natural gas, Needham, Newton, newton ma, no-heat, North Andover, oil burner, plug, plumber, plumbing, propane, repair, Revere MA, savings, short circuit, Somerville, Somerville MA, sommerville, special, Sudbury, sudbury ma, switch, trane, Waltham MA, Watertown, Watertown MA, Wayland, Wellesley, Weston, Winchester, Winchester MA, wiring, Woburn. Our “Electrical & Plumbing Services” is ranked in the Top 3 among HVAC professionals in New Bedford. Here is the definitive list of New Bedford’s HVAC professionals as rated by the New Bedford, MA community. Want to see who made the cut? Posted by HomeWiz on September 18, 2014 in Uncategorized and tagged A/C, A/C maintenance, Acton, Acton MA, air, Air conditioning, allston, appliance, Arlington, Arlington MA, Bedford, bedford ma, Belmont, Belmont MA, belmont ma electrician, belmont ma plumber, boiler, Boston, Boston MA, breaker, Brighton, Brookline, Brookline MA, Burlington, Cambridge, Cambridge MA, Charlestown MA, Chelsea MA, Chestnut Hill, cold, Concord, contractor, cooling, cooling electrician, discount, electric, Electrical, electrical contractor, electrician, Everett MA, forced hot air, furnace, generator, greater boston, Greater Boston MA Arlington MA, h.o. electric, h.o. services, heat, heating, high efficiancy, Hudson MA, hvac, Lexington, Lexington MA, Lincoln, lp, MA, Malden MA, mass, massachusetts, Medford, Medford MA, Melrose, merrimac valley, Natick, natural gas, Needham, Newton, newton ma, no-heat, North Andover, oil burner, plug, plumber, plumbing, propane, repair, Revere MA, savings, short circuit, Somerville, Somerville MA, sommerville, special, Sudbury, sudbury ma, switch, trane, Waban, Waltham, Waltham MA, Watertown, Watertown MA, Wayland, Wellesley, Weston, Winchester, Winchester MA, wiring, Woburn.